Born in 1946, Sylvester Stallone is an American actor and director best known for his role as Rocky Balboa in the hit boxing film, Rocky. 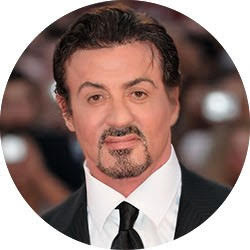 Stallone moved to New York City in the 1970’s to pursue his dream of being an actor. However, all he seemed to face was rejection, failure and a string of people telling him he talked funny, walked funny and couldn’t act. He was broke at the time. It was during this period that he was forced to sell his dog for $25 just to pay for his electricity bill. He had been rejected 1,500 times by talent scouts, agents and everyone in the film industry that he could get a meeting with. He would sit for hours on end in offices just to wait to the see the person who would ultimately reject him again. He did this repeatedly, over and over. Click Here if you are interested to know how THE BEATLES reached to top. Eventually, this wore on Stallone. He was broke and homeless. He lived and slept in the New Jersey Port Authority bus terminal for three weeks while trying to scrimp and save money together for another apartment. He was just about as desperate as anyone could be in their lives. After writing the script for Rocky, he was offered a tremendous amount of money with one caveat — that he will not star in the film. The offer was raised as high as $325,000 with the condition that he not act in the film. He refused time and again. Eventually, he accepted just $35,000 and a percentage of the film’s sales. That film grossed over $200 million at the box office!